Because Canyon Creek enjoys a close proximity to natural greenbelt areas, we all have a responsibility to be aware of and mitigate the certain wildfire risks. Wildfires are inevitable and can be due to natural events, accidental, or by a deliberate act of arson. Regardless of the cause for a wildfire, embers may travel aloft and put your home at risk. Following the Firewise principles for ALL of our homes will help to minimize those risks. Print, study, and follow these resources. They may save your life, your property and may limit your liability in the case of a catastrophic wildfire. Reduce the risk to your property as well as the entire neighborhood by employing and Firewise Principles around your property. If you live along the the Canyon Creek greenbelt, check to make sure that you do not have any unnecessary fire load behind or to the side of your property. While you do not own the greenbelt property, a wildfire will indiscriminately surge through any yard clipping and brush that may have collected. This fire load may not have been put there by you, but we need to work together to remove it. You do not need permission to enter the HOA greenbelt. Complete the following Member Firewise / Greenbelt Clearing application and send to arc@canyoncreek.com. As posted on the City of Austin webpage, our next scheduled large brush collection will start on August 13, 2018. Please be proactive! You may begin to minimize your fire load by discarding brush in lawn bags though normal weekly collection. No fires of any kind are allowed in any part of our Canyon Creek HOA greenbelt areas as it poses a certain risk to property damage and to the lives of our residents. Call the fire department at 911 to report any fire regardless if contained or not. Call the police at 911 to report any suspicious persons that you believe may be involved in any fire building activity. Please contact your board at board@canyoncreek.net if you wish to pass along any additional information. Be aware that the Canyon Creek board may seek to motion to codify certain fines against members that fail to engage in cleaning up debris that they may have discarded into the HOA Greenbelt area. Especially note the areas marked in dark pink in this chart. 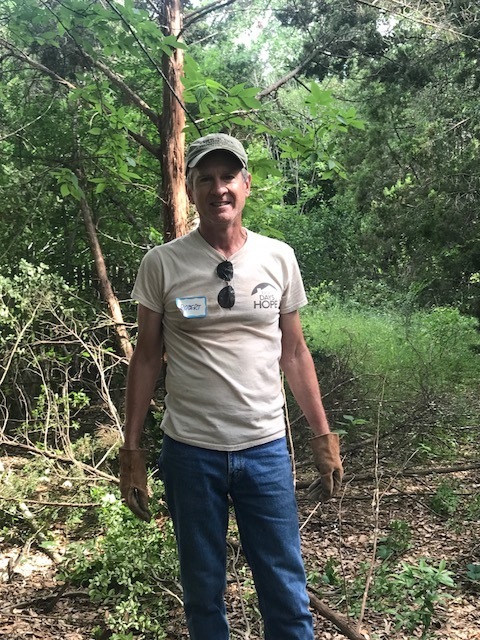 Contact Mark Weaver at 512-423-9251 if you would like to assist with the Canyon Creek Firewise project. Follow the Firewise resources now to start pulling out any fire-load / debris from your property. If you live on the Greenbelt, remove and fire load / debris from behind your property regardless if the fire load / debris was placed by you or not. You will NOT be fined by the Canyon Creek HOA for any debris put out early for a large brush collection pickup. You may be fined for any fire load / debris left behind your property. At the January 24, 2018 board meeting we had a guest speaker from the Austin Fire Department that gave us an overview of our risks and helped answer questions for everyone. We had Firewise Project workdays on Saturday January 20th, Saturday April 28th, and Sunday April 29th, 2018. A big Thank You to the volunteers who joined the HOA Board directors in this work to make our whole community safer! On May 19, 2018 HOA Board directors and volunteer residents removed and spread the mulch at Canyon Vista and Montevilla cul-de-sac, in order to prevent excessive brush growth in the adjacent greenbelt area. Now the area looks wonderful and is FireWise! In the Fall, when the temperatures cool down, we will focus on other greenbelt areas in Canyon Creek to transform into FireWise sections of the neighborhood. The photo gallery below has been created as a document of the work done by the HOA Board directors, ARC members, and many volunteer residents to improve the quality of life, increase the safety, and enhance the natural beauty of our neighborhood. This slideshow constitutes a tribute to our volunteers, who are the true asset of our community, and continue to inspire and motivate all of us.